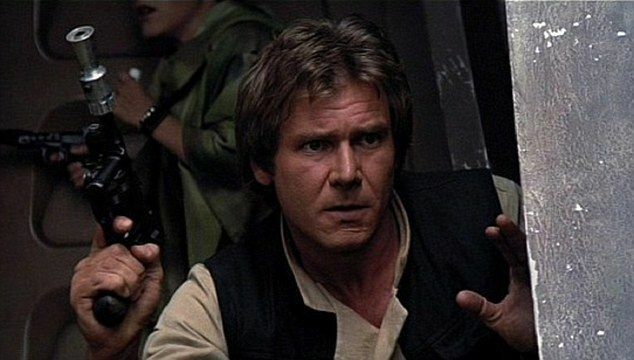 LOS ANGELES: One of the most iconic movie weapons in Star Wars history — Han Solo’s hero blaster — is going up for auction in June and could fetch up to $500,000, Julien’s Auctions said. The hero blaster gun, used by Harrison Ford in the 1983 movie Star Wars: Return of the Jedi, is one of two non-firing hero blasters used in the movie and is known in the Star Wars universe as a DL-44. The whereabouts of the second of the prop weapons are unknown, Julien’s said. Ford is seen using the hero blaster in many scenes from Return of the Jedi, and the powerful weapon, like the lightsaber, is among the best-known movie props from the sci-fi franchise. The hero blaster up for auction in June is being sold for the first time. It was made for the movie by US art director on Return of the Jedi, James L Schoppe, who was gifted the gun after filming on the movie ended, along with other mementos that he has kept for 35 years. The hero blaster will be auctioned in Las Vegas and online at juliensauctions.com on June 23 and has a pre-sale estimate of $300,000 to $500,000. Star Wars memorabilia is among the most sought-after pop culture collectibles. Luke Skywalker’s original lightsaber prop sold for $450,000 last year and an R2-D2 droid used in several films sold for $2.7 million.